The fee to attend is $85, covering the cost of the presentation materials. Payment is required at the time of registration via credit card. Your spot is not confirmed until payment is received. 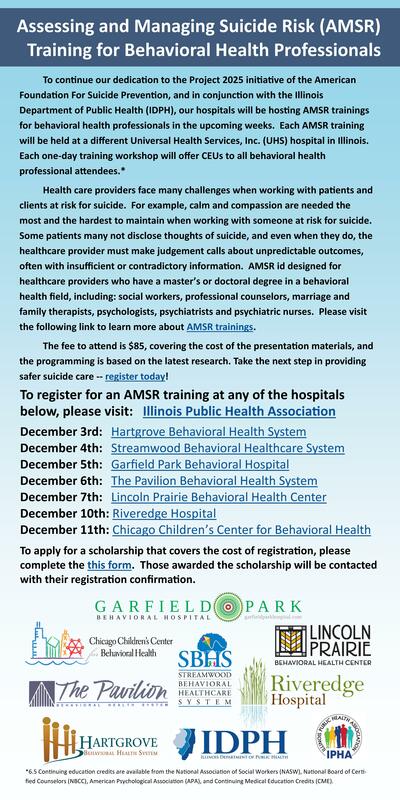 Note: The December 10th training at Riveredge Hospital is at full capacity. Please select a different date/location. Each training is held 8:00am - 5:00pm.